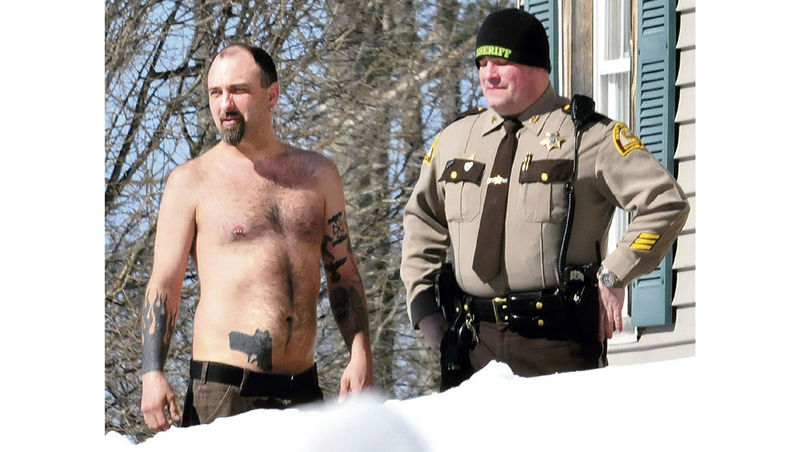 SKOWHEGAN, Maine -- A Maine man who drew national attention because of the realistic-looking gun tattoo on his stomach has pleaded guilty to drug charges, the Associated Press reports. Michael Smith of Norridgewock, Maine, pleaded guilty Wednesday and was sentenced to six months in jail, suspended in its entirety for a year of administrative release. He was fined $400 and ordered to undergo substance abuse counseling. The 41-year-old Smith was arrested in June for possession of Suboxone, a narcotic used to treat drug dependency. He'd taken it from his girlfriend. The Morning Sentinel reports that although Smith flashed the tattoo as he walked into court, he had no comment. Police responded to Smith's home in March when a tree-cutting crew he'd told to leave his property reported that he had a gun which turned out to be the tattoo.